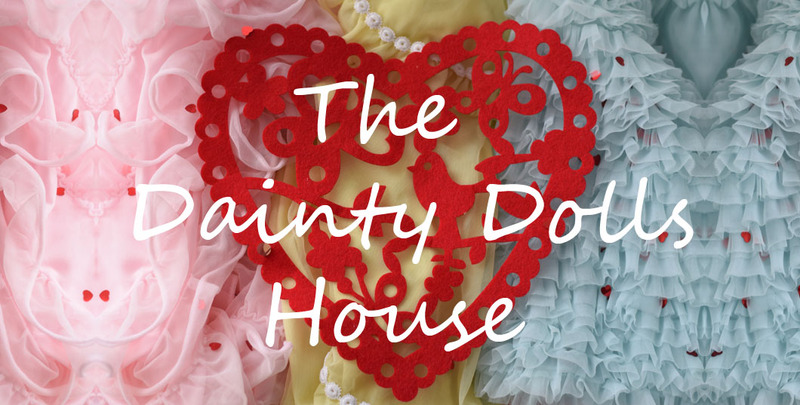 | Dainty Boudoir | Lazy Bunnies! Hello lovelies! Posting today as I ran out of time to get my post ready in time for yesterday. This is just a little post to share some pictures taken out by the water during a family walk along the esplanade. The sun was shining but it was icy cold. But, I love winters like this some times better than lots of snow. The air is refreshing, you can feel it fill your lungs and go back out on the warmth of your breath. Your cheeks warm like hot chocolates melt in your mouth. The feeling of warm sun rays intertwining with brisk cascading winds energises the senses, Dulling the mind of any worries or care. But, out too long and it can be too much for anyone not use to cold weather. But, for a former Michigan girl (Michigander) these cool days are not so bad. Though, I admit to not liking the rainy days so much when they persist after 3 or more days. You are Gorgeous and the scenery is perfect for your outfit. Enjoy every moment my dear. . . Such a fabulous bright pink coat and pretty colors!, and such beautiful accessories! And I also love a sunny cold Winter day, it's refreshing! You are so beautiful Kizzy, I love your coat! It must be so nice to be beside the water. Your coat is so cute. Love, love. And Claire's creations are quite cute ... especially the pop tart + pizza lapel pins. 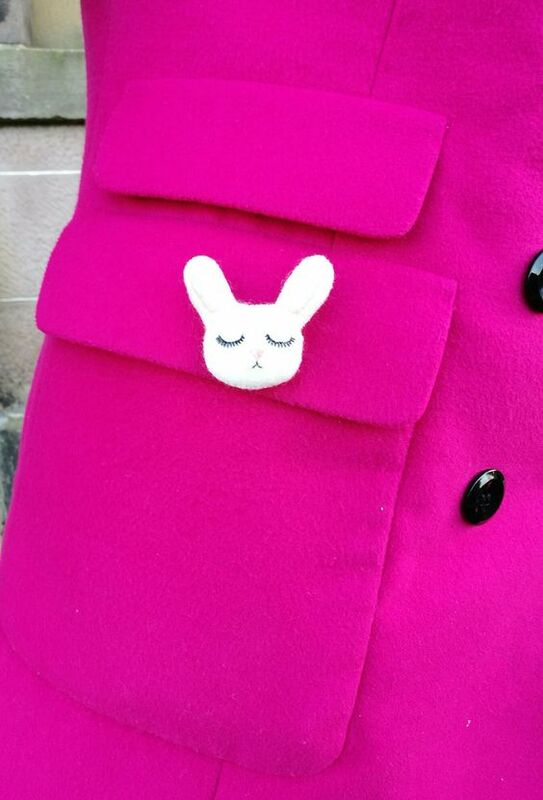 Beautiful pink coat with the rabbit in the pocket! The bunny is the perfect finishing touch to your gorgeous look! I like to clear my mind through yoga. I am glad I was able to spot the bunny. It is too cute. And your makeup looks magical. Beautiful from head to toe. I like every piece. Happy weekend, doll! Walking is a great way to clear my mind. I love the colored tights and sunny winter days are the very best! I love winter walks on the beach, the air is so refreshing! I love your tights. Fab colour. I don't like it cold or wet -- just warm. The glitter on your face is so cute. Winter is such a beautiful season, it took me a while to realize this but now I really enjoy being refreshed by the cold winter air. I feel like it makes my lungs healthier or something- I love it! Today we had a nice sunny winter day, it was a bit windy but I didn't mind too much. Your outfit today is marvellous. Those blue tights are so fresh! Great way to add colour into one's outfit, I like seeing coloured thights...and your coat is very stylish. I love that little bunny pin- it's so cute. Beautiful necklace too. You look beautiful! Lovely make up too, very creative. Such a pretty and feminine look altogether. Love your coat and the brooch is so cute! I just this coat and the scenery is sooo beautiful!